This song is more in the tradition of Jump Blues and maybe a little bit untypical for that series but why not mix it up from time to time. We had a Blues last week and I also wanted to stay with it this week. It's a funny song to play with as dancers. I found one clip on YouTube but I can't watch it myself due to restrictions. So, I don't know if this is everywhere or just in a few countries. 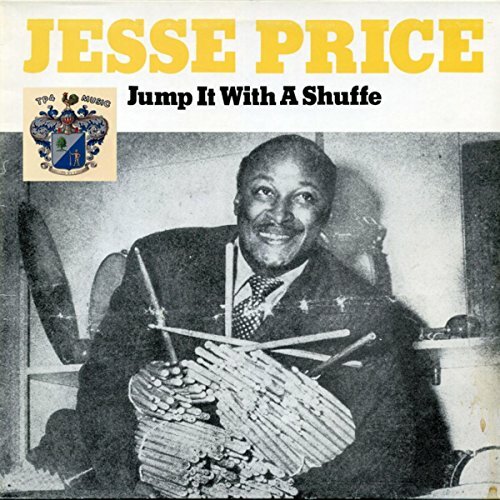 An influential drummer who was best known for supporting major performers, Jesse Price (May 1, 1909 – April 19, 1974) appeared in many settings through the years. He began playing drums when he was 14, freelancing in Memphis, playing in the pit orchestra of the Palace Theatre in his hometown and accompanying blues singers. After moving to Kansas City in 1934, Price became an important fixture, playing with George E. Lee, Thamon Hayes, Count Basie‘s orchestra (1936) prior to Jo Jones, touring with Ida Cox and later working with Harlan Leonard (1939-41). Price moved to Los Angeles in 1941, playing with Ella Fitzgerald, Louis Armstrong (1943), Stan Kenton (1944), Basie (1944), Benny Carter, Slim Gaillard (1949) and (in Kansas City) Jay McShann, among many others. He was less active in the 1960s and '70s but led a band at the Monterey Jazz Festival as late as 1971. Price recorded 23 selections as a leader from 1946-48 (mostly for Capitol); they were usually blues-based but often used top jazz players. Well, what exactly is Jump Blues? On Wikipedia I found the following. Check out the article to learn more about it. Jump blues is an up-tempo blues usually played by small groups and featuring horns. It was very popular in the 1940s, and the movement was a precursor to the arrival of rhythm and blues and rock and roll. More recently, there was renewed interest in jump blues in the 1990s as part of the swing revival.